Popular all over Latin America, alfajores are a tasty treat the whole family will enjoy. This alfajore cookie recipe is super easy to make and sure to satisfy your sweet tooth! These Latin American cookies are a delicious treat my family loves. Some of my other favorite Latin inspired foods are these Chicken Enchiladas, Homemade Salsa and Horchata recipes. Alfajores are a very popular cookie you’ll find throughout Spain, Mexico and the Caribbean but you’ll find them most in South America. They’re made in very popular bakeries where you can pick some up for an afternoon snack or they’re made by bakers at home for celebrations and special occasions. If you want to experience all that goodness, you’re in luck, because I have a recipe to share with you! It isn’t difficult at all, and if you buy the dulce de leche, you’ll be sharing and enjoying these delicious treats with your loved ones in no time! 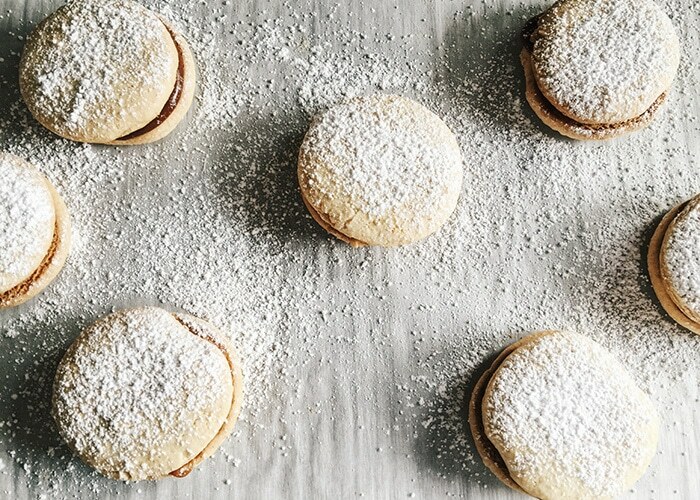 These alfajores are crispy, tender, crumbly, buttery, sweet, and oozy with dulce de leche. Did I mention the snow-like dusting of powdered sugar that tops them off and gives you even more finger-licking opportunities at the end of devouring these delectable gems? Yes, they have that too. To make these delicious cookies, you first start by mixing the flour, cornstarch, baking soda, baking powder and salt in the mixing bowl with a whisk. Next, you’ll mix the softened butter and and sugar until it has a light and fluffy texture. After that you’ll mix in the lemon zest, egg yolks, water and vanilla into the mixer. Once those have been combined you will slowly add in the flour mixture. You’ll want to mix this together until the mixture is fully combined. Be careful not to over mix everything once all of the ingredients are full combined. Take the dough out and wrap it in plastic wrap and leave it in the refrigerator for an hour. Then you’ll make several small two inch wide cookie rounds and bake them in the oven at 350 degrees F for about 12 minutes. Once the cookies pieces have been baked leave them on a cooling rack until they have completely cooled. 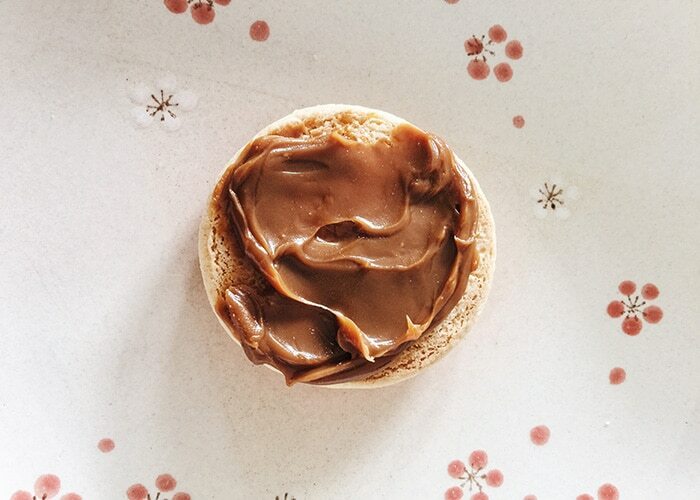 Once cooled, you can now spread the dulce de leche onto the cookies and then place another cookie on top to make an alfajore. Once completed, sprinkle powdered sugar on top of each alfajore and then they’re ready to serve. Store any remaining alfajores in an airtight container at room temperature. They will typically last for several days if they are stored this way so you can enjoy them all week long. 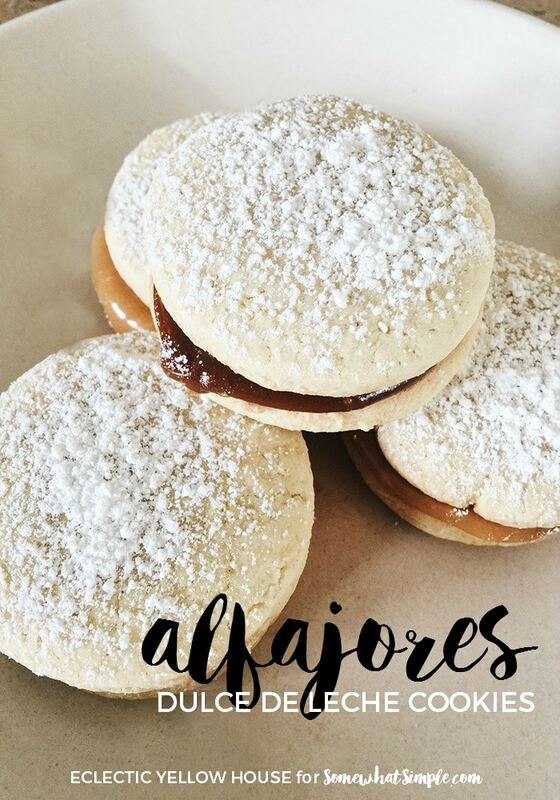 With this easy alfajores recipe you will soon see why alfajores are so popular in Latin America and throughout the world! One of the reasons I love making these so much is because they are so different from types of cookies and treats I typically eat. 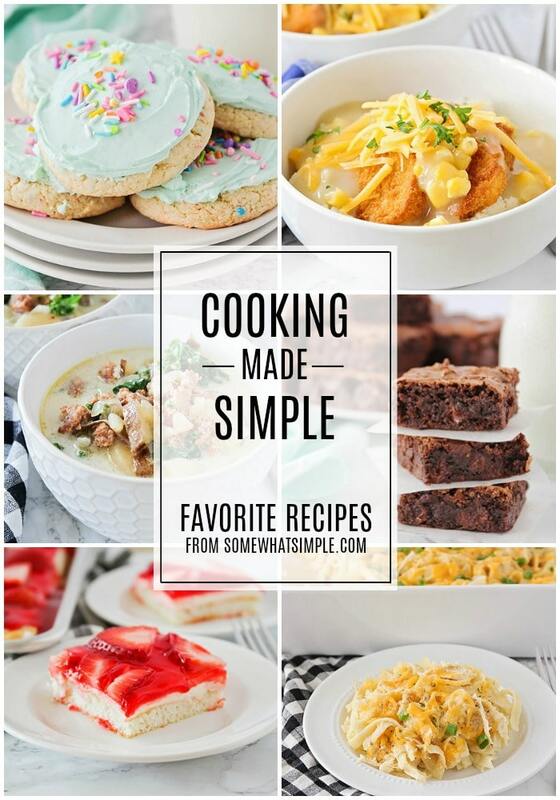 I have made this recipe numerous times and it always turns out great! Give them a try, you’ll love them! 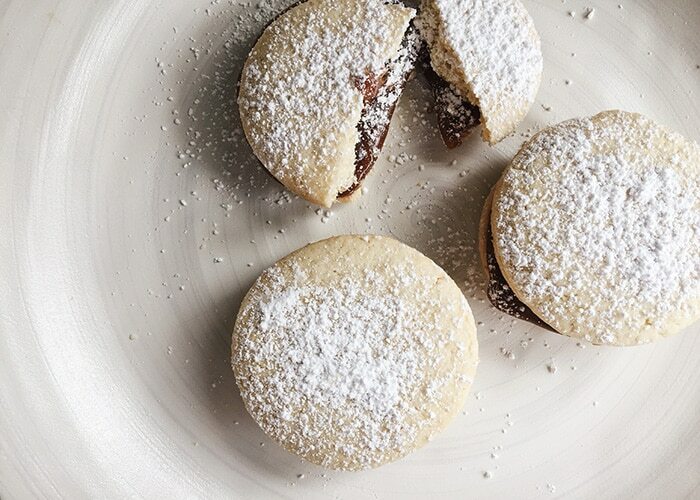 Popular all over Latin America, Alfajores are a tasty treat the whole family will enjoy. 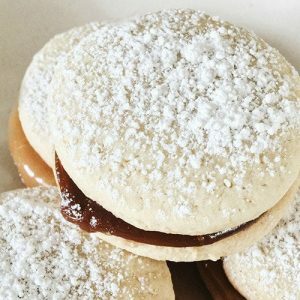 This alfajores recipe is super easy to make and sure to satisfy your sweet tooth! In a medium bowl, combine flour, cornstarch, baking soda, baking powder, and salt. Whisk to combine. In the bowl of a mixer, place the softened butter and the sugar. Then, mix until light and fluffy, scraping down the sides of the bowl as needed. Next, add the lemon zest, egg yolks, water, and vanilla. Mix until combined, then slowly add the flour mixture. Mix just until it is combined, but don’t over mix. Form dough into a disk then wrap in plastic wrap. Place in the fridge and chill until it is firm, about 1 hour. Preheat oven to 350 degrees. Line a baking sheet with parchment paper and lightly flour a work surface. Cut the dough in half and return unused portion to the fridge. Roll out the half of dough you are using to 1/4 inch thickness and then cut into 12 2-inch rounds, re-rolling scraps if necessary. Place the dough onto prepared baking sheets. Bake in the oven for 11-13 minutes, or until they are just golden on the bottom edges. The cookies will be quite pale on top, this is fine. Remove the cookies to a cooling rack to cool completely. Repeat with remaining dough half. You will have 24 cookies after baking. Dust generously with powdered sugar and serve! What a delicious looking cookie!! I am looking forward to making these!!! I’ve never tried these before – but man o’ man do they look delish! I love trying different kinds of cuisine. Alfajores are the best, you’ll love them! These are just the PRETTIEST! And so delish! Thank you for sharing this recipe! Your welcome, I’m so glad you loved them! These look amazing!! Can’t wait to try!